Being in a foreign place, there’s always a risk of getting lost. Sometimes, it may be scary, but other times, it can be exciting. The latter was the case for when Kyra, Evan, and I unknowingly got lost in Prague. Let me share with you a few tips on how to save yourself from getting lost – or a few tips on how to survive if you’re already lost, based on real-life experience. Be wary of where you are and where you’re headed. So this was mistake # 1 for us. We heading back to our hotel in the city, so we hopped on a tram at random, assuming one of its stops would lead us to where we were supposed to be. Again, we had no idea where the tram we were on was headed, and due to the language barrier, we didn’t even bother asking. 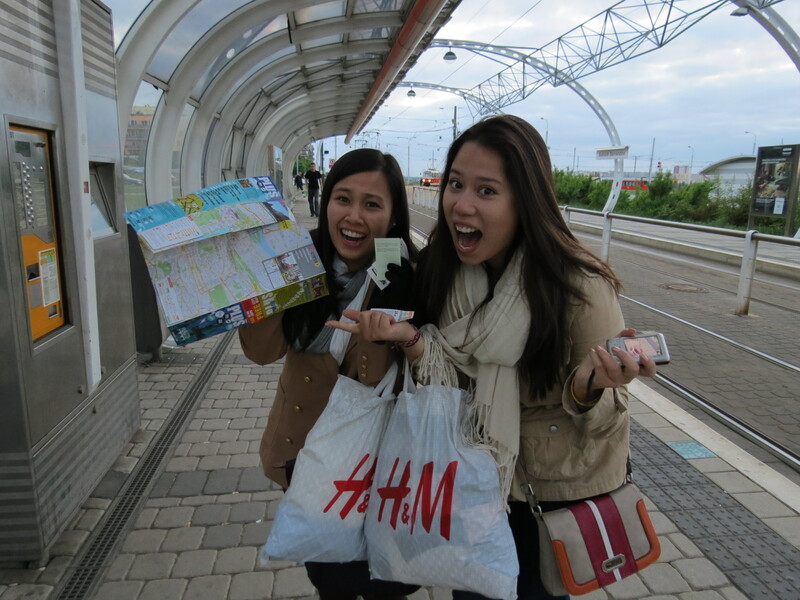 Later, we found out that we took the tram that was headed towards the opposite direction of where our hotel was! It wasn’t after several stops did it dawn upon us that we were on the wrong route. Instead of asking, we decided to just ride the tram till the end of its route, again assuming that it would go on a loop and head back to the right direction. We were wrong, so that leads me to the next point. Try not to assume you know where you are, when you obviously don’t. Sometimes, it’s okay to go with your gut. I’ve done this far too many times to count, but it’s better if you know where you’re headed and when you really don’t, you accept that you’re lost, take a deep breath, and find someone who can help – or better yet, try to look around to see if there’s a guide or city map nearby. There are many of these in big, metropolitan cities anyway. By the end of the tram route, when we thought that okay, finally, we’ll start heading back to right direction; but to our surprise, the tram went to a complete halt, and the very few people that were left on the tram all got off. 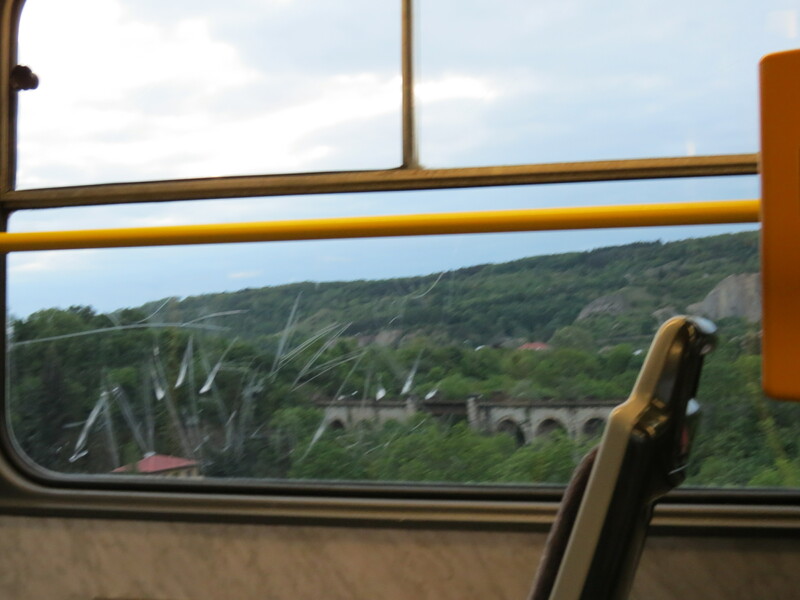 We were so far from the city center and where we were supposed to be that the tram had passed the woodlands. We were completely lost, but we didn’t panic. Trust that someone will help you. Though there are someone people who will sneakily act like they’re lending a helping hand out of the goodness of their heart, but in the end, will just ask for money, remember that majority of those wanting to help you are still those with pure intentions. At least this was based on my experiences, though I’ve had two or three bad experiences too. That was when we were told that we had taken the completely wrong tram and was meant to take the one headed towards the other end of the city. There are warm and kind locals, but there are crazy ones out there, too. 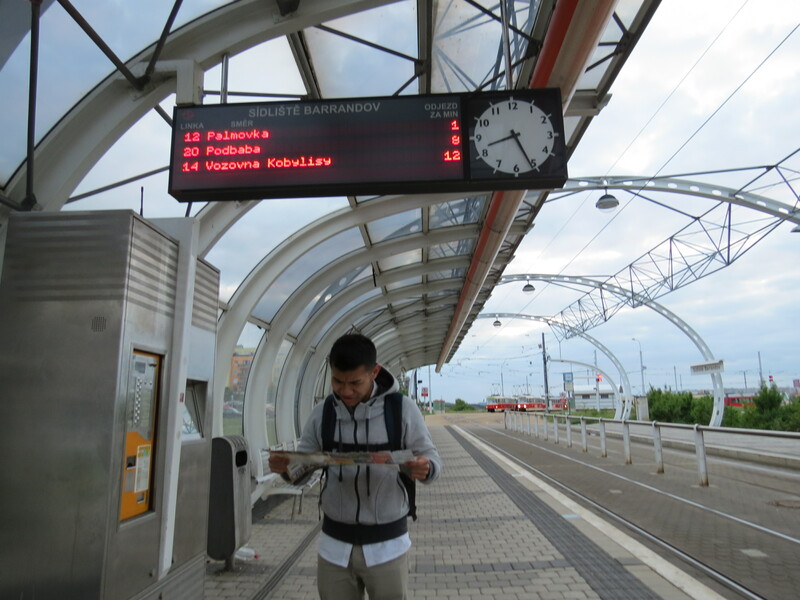 While we earlier encountered a kind human being who helped us find our way back, we encountered a crazy one as we got onto the tram headed towards the right direction. Being young people lost in an unfamiliar city and having been helped by a cute Czech boy, we were laughing like crazy in the tram, and the woman at the back of the tram (right behind Kyra) was saying something in Czech and would laugh the same time we were laughing. We thought she was laughing with us, enjoying with us. I even thought, oh, that’s cute; but suddenly, she started directing her dog towards us, giving the notion that he should attack us or do something vile, but the dog didn’t even seem to react. “There goes this crazy lady again,” was what must’ve been on the dog’s mind. Eventually, we all kept quiet and looked away, but she kept shouting and saying things in the local language, which none of us obviously understood. Another passenger on the tram even shouted something to her. 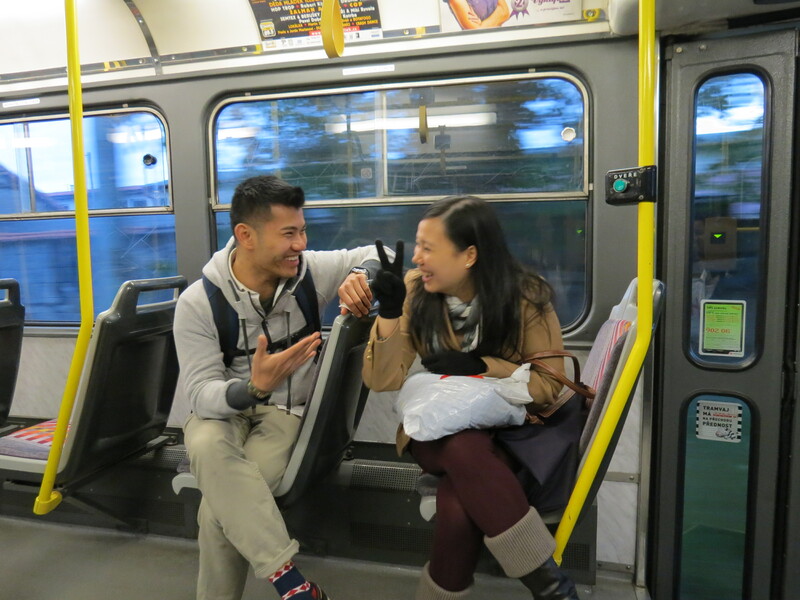 Initially, I was scared that they might be plotting something against us, since none of us could understand a word they were saying, but we figured later on that the the other passenger must’ve been telling her to shut up. Thank goodness she got off after about four stops, although she did give us a look as soon as got off the tram. Though you might think that you finally found the right path and were headed the right way, you may be wrong. After a couple more stops, we got off, as we thought that that was where we were supposed to stop. Again, we were wrong. Apparently we were a stop or two early, as we found out later on. 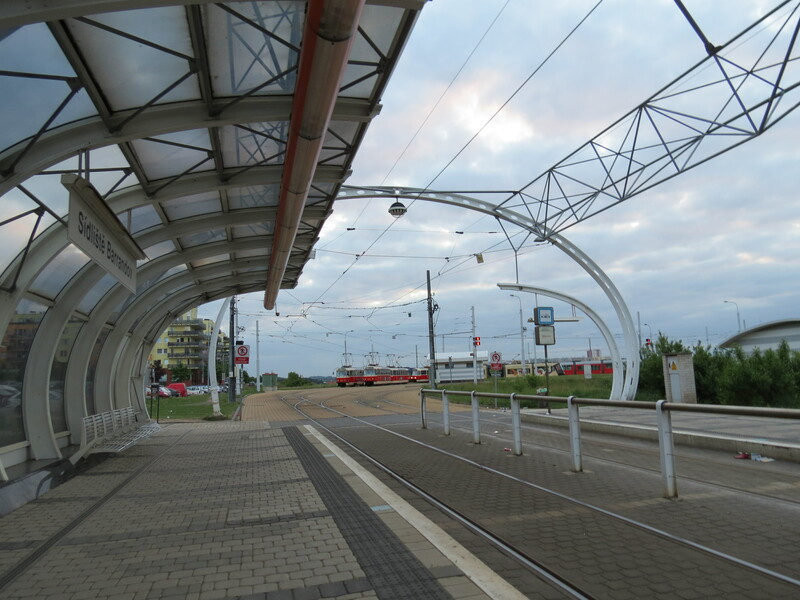 It was already dark-out, and we ended up in what looked like a shady tram / bus station. We tried asking directions from a couple of people that were seated right by the station, but they could not understand a word we were saying! No matter how long it takes you to where you have to be, remember that life is always an adventure, and getting lost will be one of your best travel stories.